Export services including DP/DA Collection, SBLC Confirmation, LC Forfaiting, A/R Purchase, etc. Import services including LC Issuance, Guarantee, Payable Financing, etc. 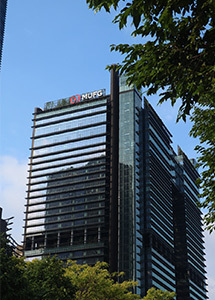 A bank with deep roots in Asia, MUFG Bank’s presence in Singapore dates back to 1957. It moved its regional headquarters for Asia and Oceania from Japan to Singapore in July 2013 to better harness the growth opportunities of a rising, dynamic Asia. As the regional headquarters, the Singapore office covers 13 countries across South Asia, Southeast Asia and Oceania where we serve our corporate and investment banking clients under the MUFG brand. We go to market with our consumer, wealth, and commercial banking clients under the Bank of Ayudhya (“Krungsri”) brand largely in Thailand. In May 2017 the Bank of International Settlements (BIS) published the BIS FX Global Code (the Code). MUFG Bank adheres to this Code. Please see our Statement of Commitment below. In addition, the notice below sets out our disclosures in relation to standard dealing with clients and other market participants in principal-to-principal transactions in the wholesale FX markets, including with respect to FX options, spot, swaps, deliverable and non-deliverable forwards. Personal data in Singapore is protected under the Personal Data Protection Act 2012 (PDPA). For inquiries, feedback or requests relating to the use or disclosure of personal data, please contact our Data Protection Officer. Please note that only inquiries and requests related to the PDPA in Singapore will be addressed.